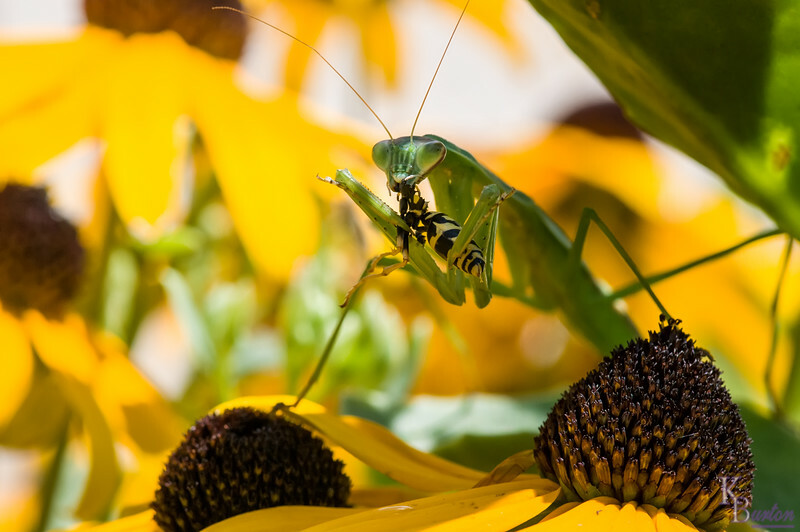 Turned out it was a yellow jacket, not a fly that this mantis caught. Good for me on a few levels. That's one less yellow jacket to bother me when I tend to my garden, and being a lot bigger than a fly, it would take him a lot longer to eat it. Giving me a lot more time to capture him on film.